Phoar, look at me go, blogging a few times a month??? So unheard of!!! 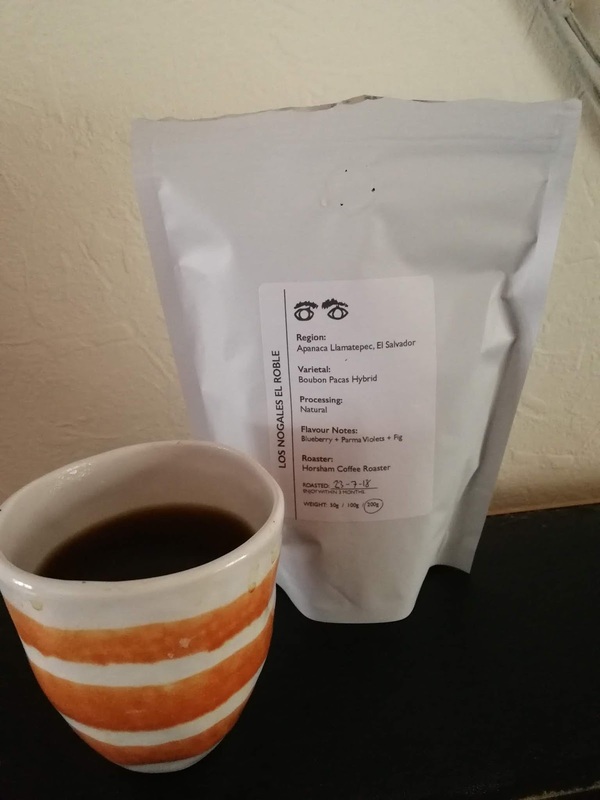 This Kenyan is super good, super light, super fruity, you can definitely taste berries. I actually finished this 100g bag in 2 days which proves how yummy it is. 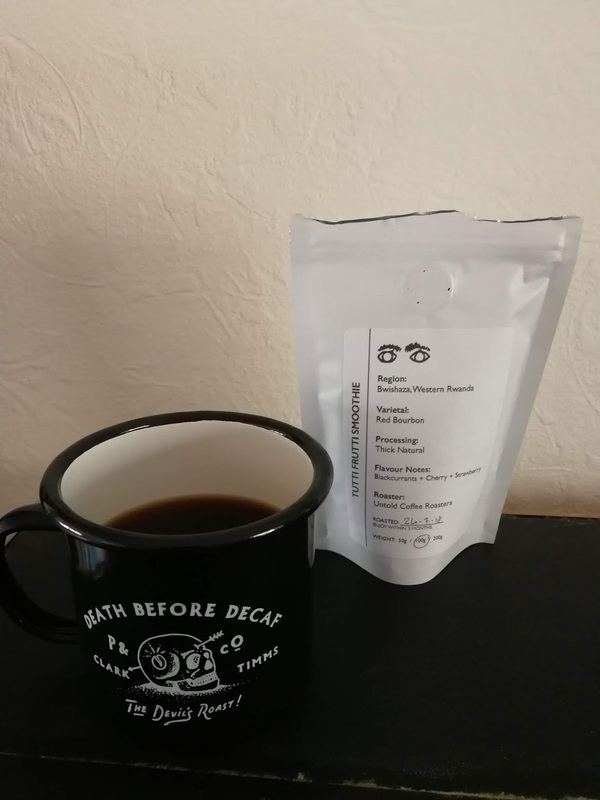 So fruity and chocolate-y, this Brazilian is a perfect afternoon pick me up, it's super smooth, and also amazing as espresso!!! 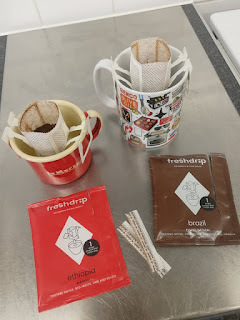 In the box, was 2 fresh drip packets, one Brazilian, and one Ethiopian. I was so, so, so intregued by these that they were the first things I tried from the box. Both tasted quite light, I opted for the Ethiopian and gave my boyfriend the Brazilian blend. I was amazed at how these little contraptions work, like actual genius invention. They basically just unfold and magically (yes magically) hook over whatever cup you're using, and pour some water over, let it bloom, pour some more water, and boom, done. Amazing. Hats off to the creator, because DAMN these need to be everywhere!!! Look out for box number 3, coming out shortly!!! Every now and then on The Coffee Life, I like to mix up the coffee posts with some tea post. Today is one of those days. 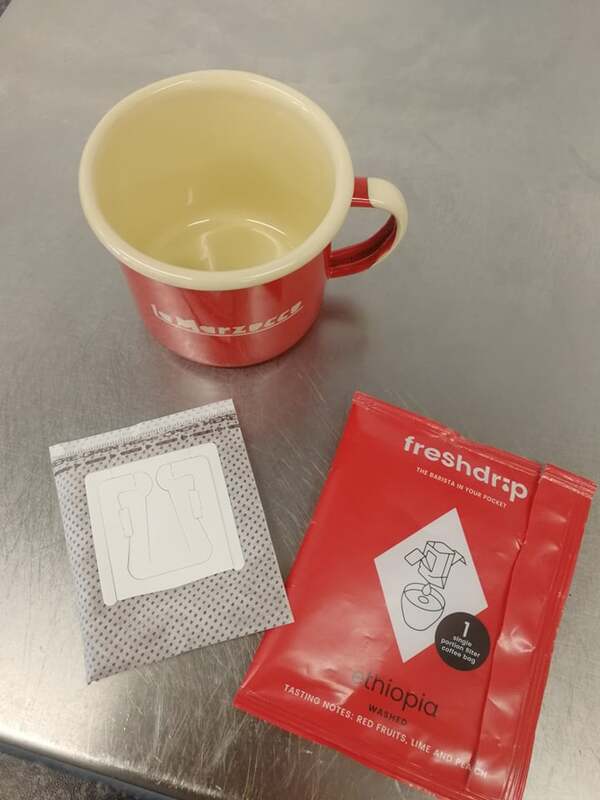 Like most people, before even trying coffee, I was a big tea drinker. Specifically herbal teas. 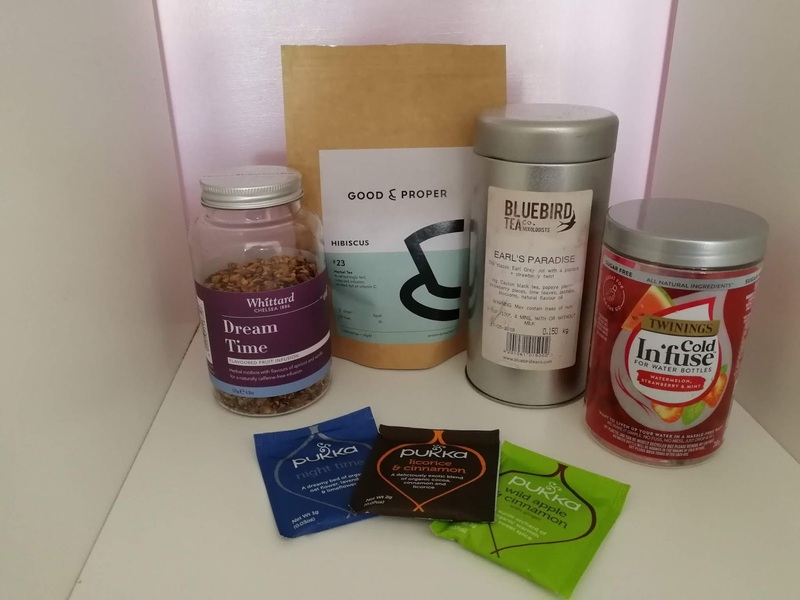 I was a big tea enthusiast and would spend a big majority of my money on new teas (most which I am still trying to get through to this day. Expiration dates mean nothing right? 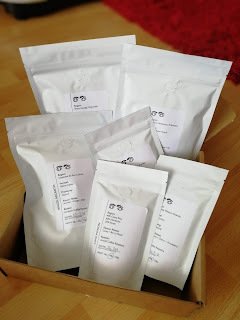 So today I thought as a side step from coffee's, I'd do a little post about the tea's I am loving at the moment. We'll start with Pukka, just because it's the brand I have been absolutely loving this entire year, and I cant get enough of. 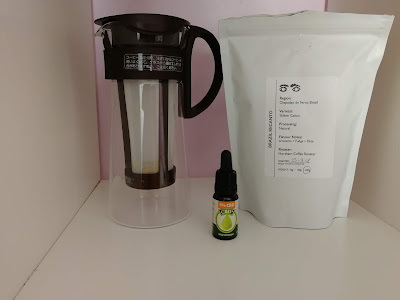 Night Time - pretty self explanatory, I don't drink "night" teas every night, but when I feel a bit anxious or a bit crappy, I stick my essential oil difuser on and sit and have a calming cup of tea. I'm a big self care is never selfish kind of person. Wild Apple and Cinnamon - the newest addition to my tea collection and a big favourite, the apple gives it a real sweetness which hits the sweet tooth hard, curbs some (SOME, come on let's be honest, I'd demolish a chocolate bar if it was put next to a cup of tea) cravings for junk food, but delicious and got to be healthy right? Hibiscus - This tea has actually featured on this blog before (here) you can read my more in depth review on it, through that link. But yes, this is still a very big favourite of mine, and such a beautifully coloured tea!! Cold Infuse, Strawberry, Watermelon and Mint - Phoar, well where do I start with these? 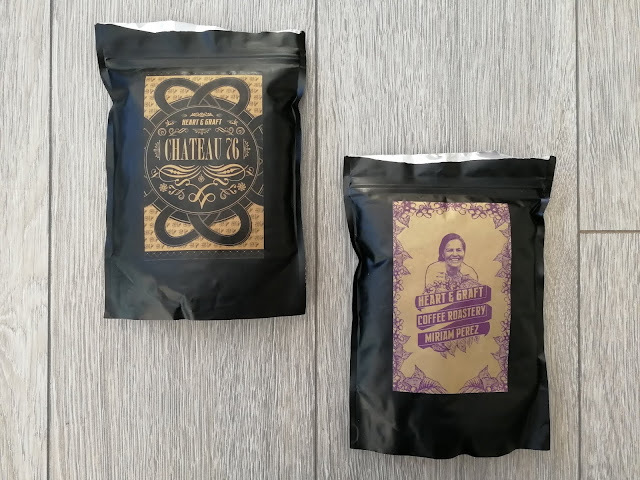 I first tried them at London Coffee Festival, and after speaking to one of the Twinings employees for about 10 minutes, she proceeded to shove loads of samples of all the flavours into my bag (hey, who's complaining? I'm definitely not) I got to try three of the six flavours they offer, and my favourite was definitely this one, its so fruity and refreshing. It's great if you don't really fancy water but you know you have to keep hydrated (anyone else?) but damn, if you haven't tried these yet, you're missing out. The newest trend that seems to be everywhere at the moment, is CBD oil, in pretty much everything. I wasn't even aware it was a huge thing, before I saw pretty much everyone posting about it on Instagram and Facebook. 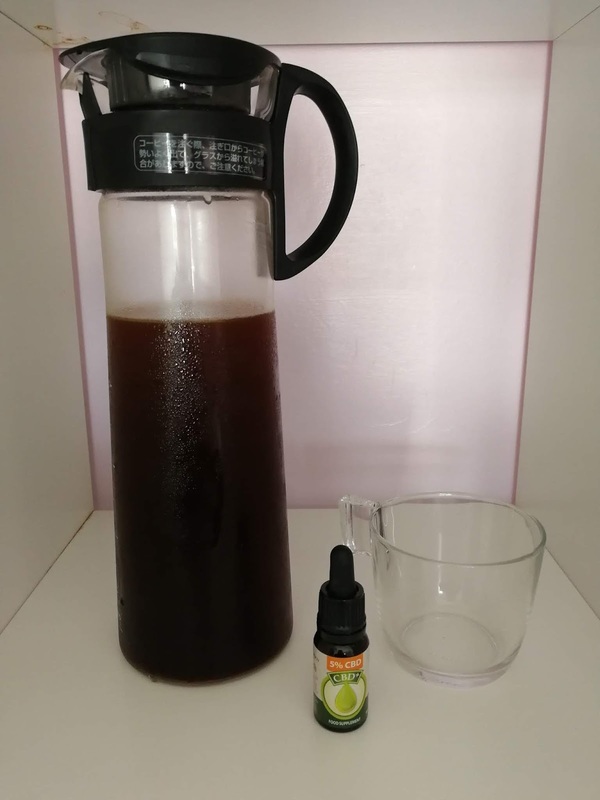 I jumped on the bandwagon (obviously) and tried out High Tides CBD Cold Brew, and instantly new that I had to go out and buy some CBD oil to try and make my own, after a few unsuccessful takes, and just ending up giving up for a few days, it finally worked the way I wanted it too. 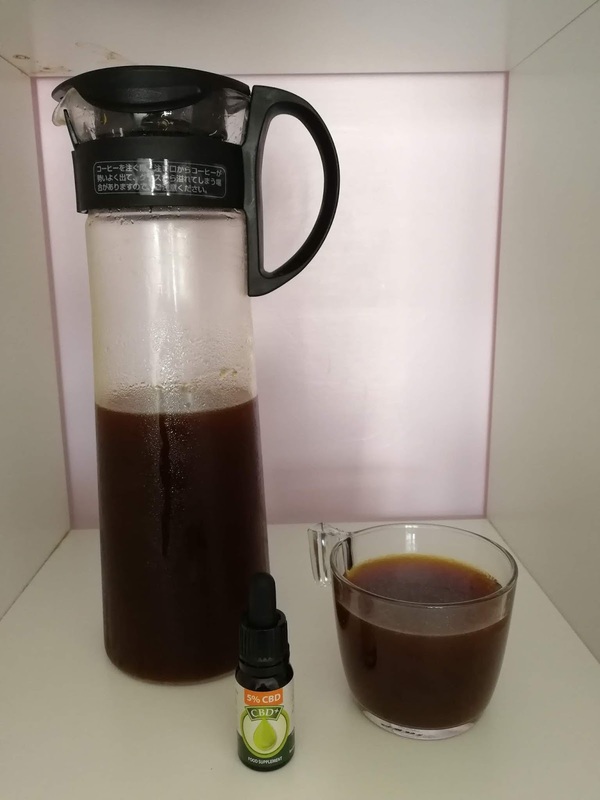 CBD Cold Brew became popular because of the fact that coffee can give you that "high", and CBD responds with a "low" giving it the perfect balance to have as a drink, it minimises anxiety that a lot of people get with drinking a lot of caffeine. 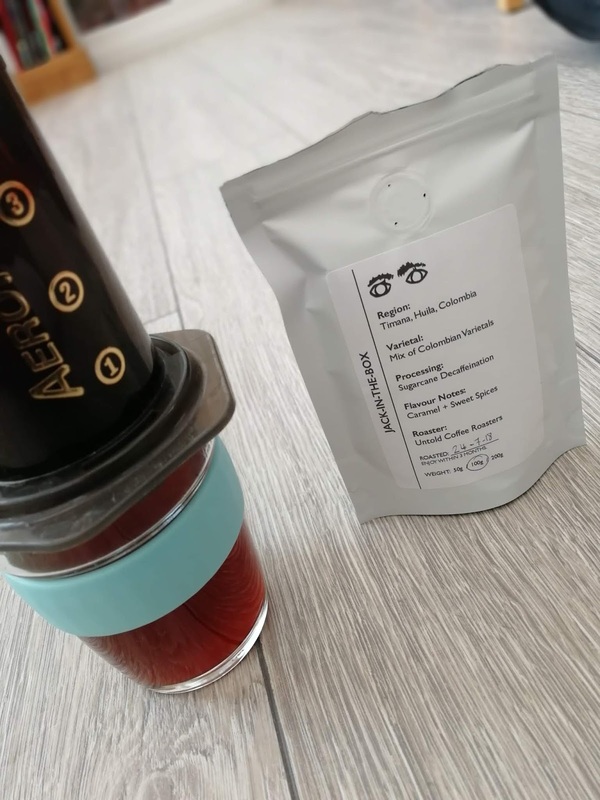 To make the cold brew, you typically want to use anywhere between 50-65g of coffee to 500ml, and 60-100g of coffee for every litre. 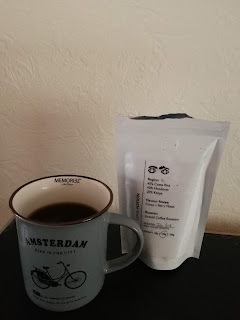 I ended up using my litre cold brewer, and went with about 95g of coffee. Once you've brewed your cold brew, you want to add the CBD oil, the typical recommendation for the amount of CBD oil a day is around 10 drops, but because this is a whole litre of cold brew, I did about 25 drops, which averages at about 6.25 drops per 250ml. 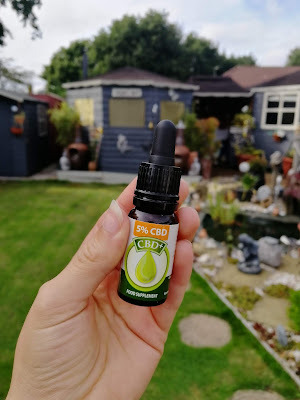 - It can relieve symptoms of depression and anxiety, CBD has the ability to act on the brains receptors for serotonin, the neurotransmitter in the brain that regulates mood and the social behaviour. - Lowers inflammation, and decreases chronic pain by impacting the endocannabinoid system (ECS), reducing inflammation and interacting with the bodies neurotransmittors. - It has antipsychotic effects. Studies have suggested that CBD oil may help people with mental health disorders such as schizophrenia by reducing the psychotic symptoms. - Anti-tumour effects. CBD has demonstrated anti-tumour effects, and has been shown to prevent the spread of certain cancers. Mixed with coffee, CBD has some more amazing effects, as CBD is a non psychoactive oil, it can put the balance between the "high" from coffee, making it a perfect pre and post workout drink. What do you think of CBD? Have you tried it? Will you? Is this just another phase in the health world? 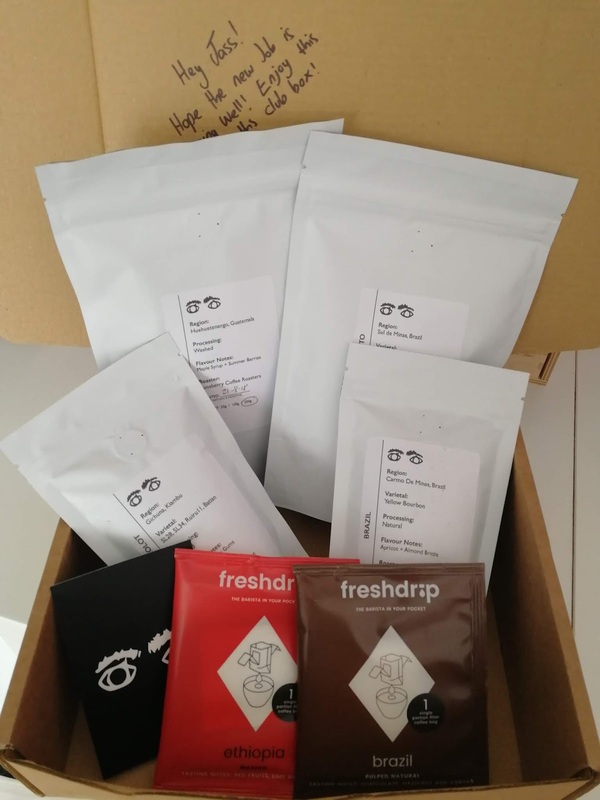 so James being as clever as he is created a monthly box, completely invite only, and I felt great that I was one of the lucky ones he asked. Being the first box, I wasn't sure what to expect, but oh my, I was definitely not disappointed. This lovely box included 6 (yes 6!!!!) coffees, 3 100g bags, and 3 200g bags. To keep it relatively easy, I ended up using the same recipes for all coffees the first time round, all using the Aeropress. 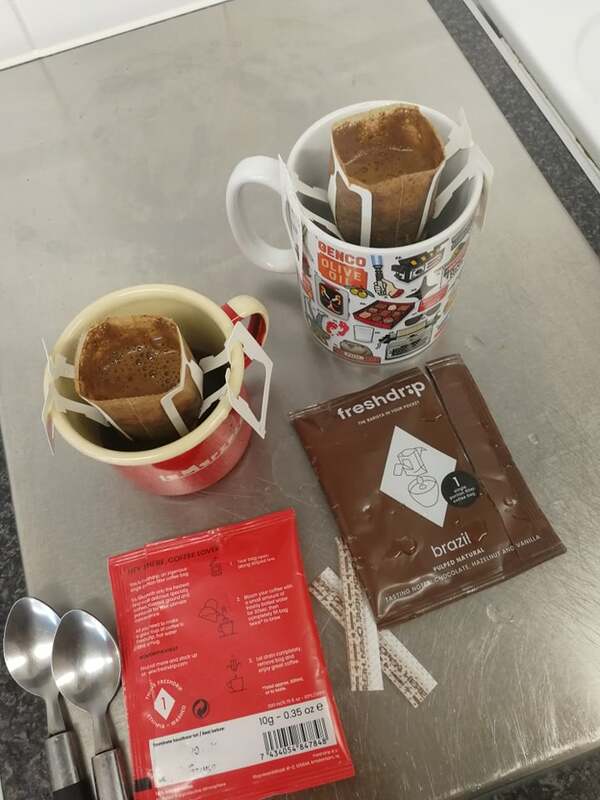 I used 16.5g of coffee to 245ml of water, all brewed for 1.45 minutes with a 30 second bloom and a 30 second plunge. This Brazilian had really sweet aromas when brewed, and tasted real sweet and syrup-like, it was super smooth and had a really light mouthfeel. I'm very new to El Salvador coffees, but mmm this one was good, it had a really strong flavour of dark fruits, a real full bodied coffee with a smooth and crisp finish. 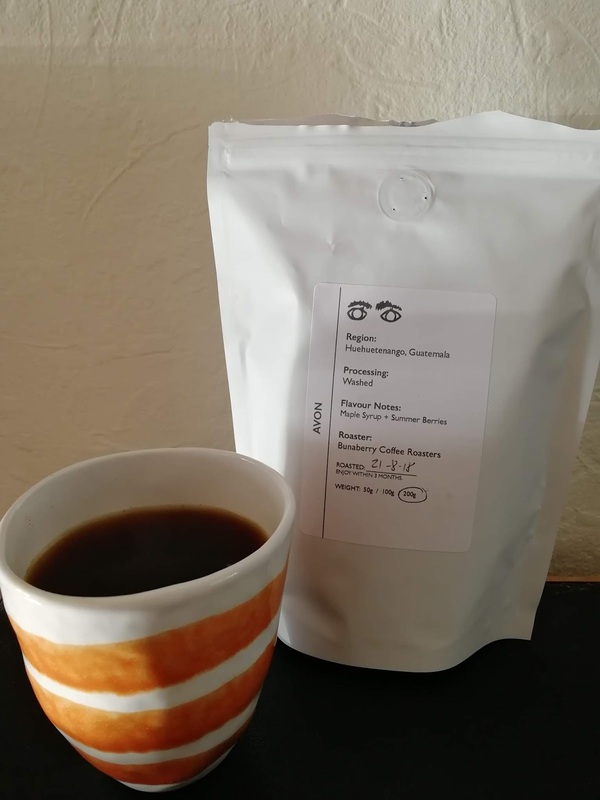 I love me some Yirgacheffe, and this coffee didn't disappoint, all I wrote down for the notes was "fruity af" so that's an indication that I enjoyed it too much to even try and make more notes on it. 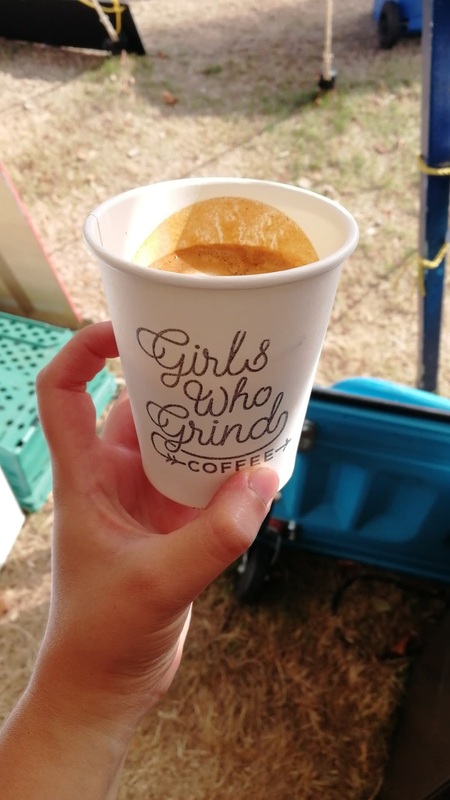 I first tried this one at Bestival when I was on a caffeine ban (that went really well fyi) so I was playing around with recipes a lot, but oh my, this decaf was LUSH... 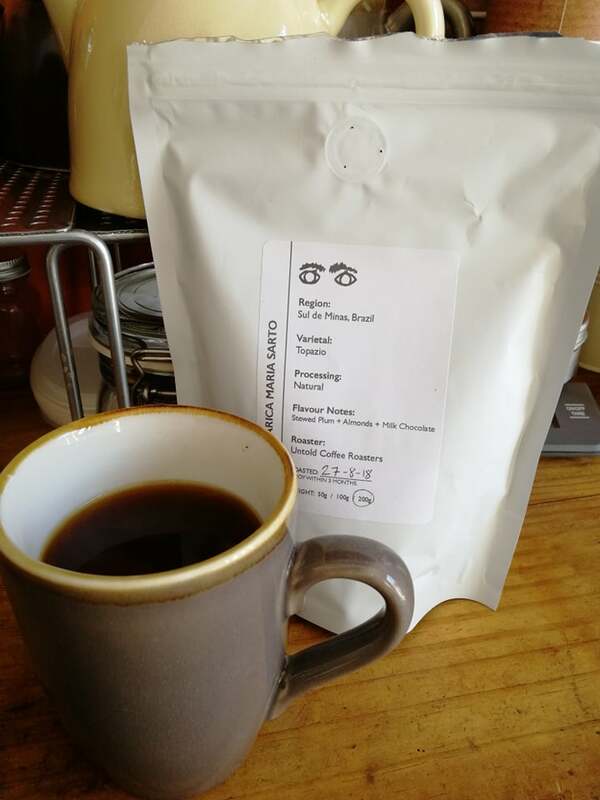 It was so smooth, light and syrupy with a gorgeous crisp finish, and sweet spice aftertaste. I was unsure if this would work as a filter coffee due to it being a blend, but surprisingly it worked so well that I've now finished the entire bag in less than 3 days. It was so chocolatey, with a smooth finish and a dark chocolate after taste. 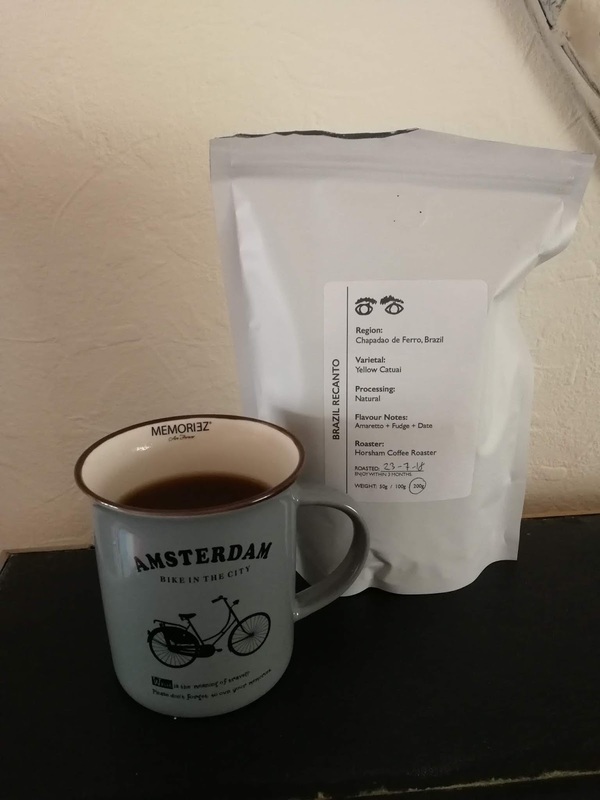 This one again, was one I wrote "fruity af" on the notes, but this coffee literally had no acidity to it. 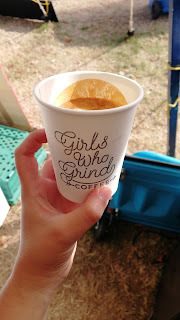 It was so so sweet and syrupy, I could literally drink it like water, which could get slightly dangerous, but you know, isn't that just any Barista's way of living??? It had a super light mouthfeel to it, and was super smooth.